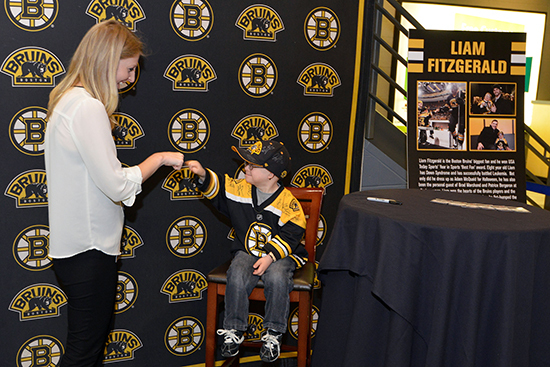 When we first saw young Liam Fitzgerald in his fist-bumping video where he gave knuckles to his favorite Boston Bruins players, we thought he was just adorable. As we dug into Liam’s story further however, we also found out he was a very brave and courageous young man. 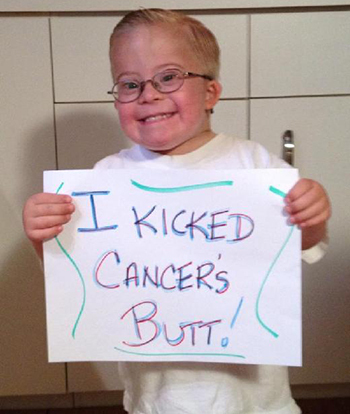 Liam, who was born with Down Syndrome in 2006, was diagnosed with Acute Lymphoblastic Leukemia (ALL) in 2009. His family supported him through aggressive treatment that lasted four years. Liam battled through endless ongoing treatments, infections, fevers, seizures and multiple trips to the emergency room while working hard to get better. 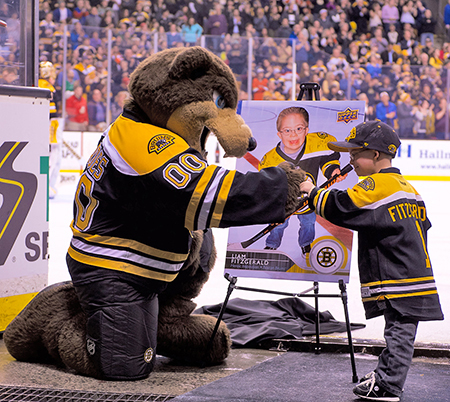 We first engaged Liam with one of Upper Deck’s Random Acts of Kindness packages where we sent him a variety of hockey cards (mostly of his favorite team the Boston Bruins), signed pucks and more. 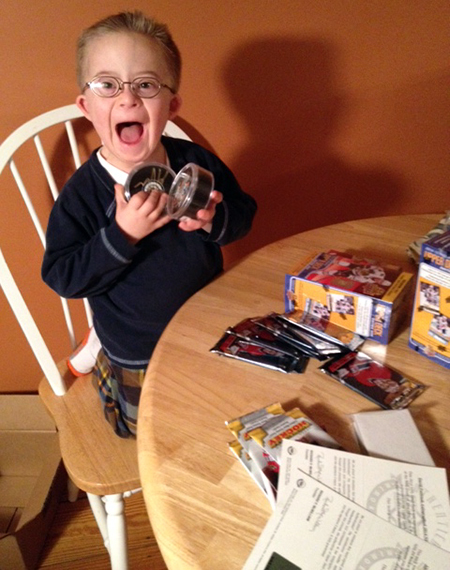 He was thrilled when he received them! 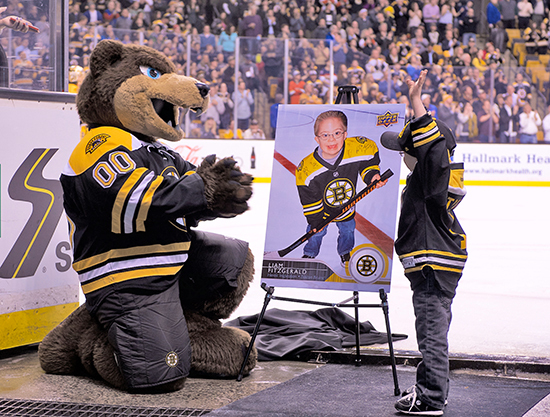 At Upper Deck we wanted to do something even more special to honor Liam’s courage and we felt he was a perfect candidate for Upper Deck’s Heroic Inspirations campaign. In the past we have honored courageous youngsters involved in sports who battled through adversity like Jack Hoffman, Mandi Schwartz, Jaclyn Murphy, Jack Miller, Sam Tageson and Lauren Hill. Adding Liam to the mix just made perfect sense. 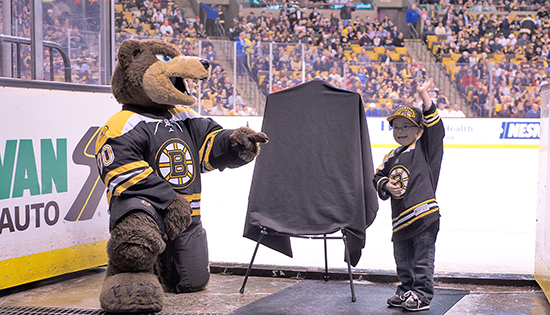 We worked in conjunction with Liam’s family and the Boston Bruins to surprise Liam on the same night Upper Deck would offer a team pack giveaway to fans in attendance. 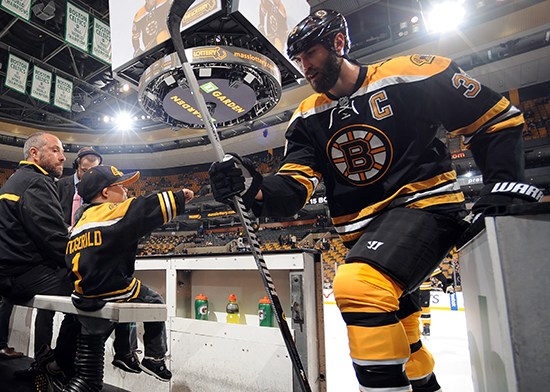 During the first time-out of the game, the team recognized Liam with the card. 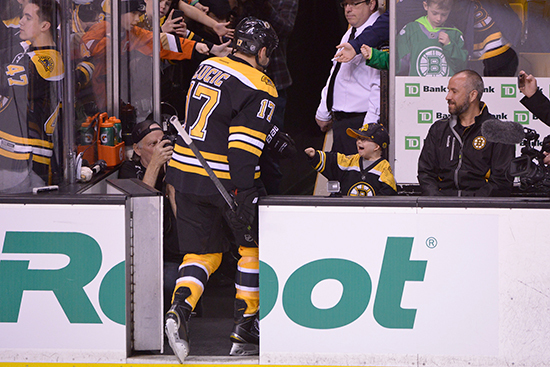 There were some great images courtesy of Steve Babineau of Getty Images from the event as well. Afterwards we heard Liam couldn’t stop touching the big card. 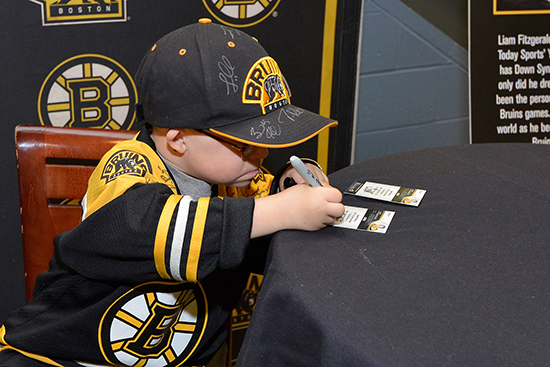 He couldn’t believe he had his very own trading card and he was thrilled to sign some copies for fans at the team store. Responses to the card on social media have been nothing short of amazing. 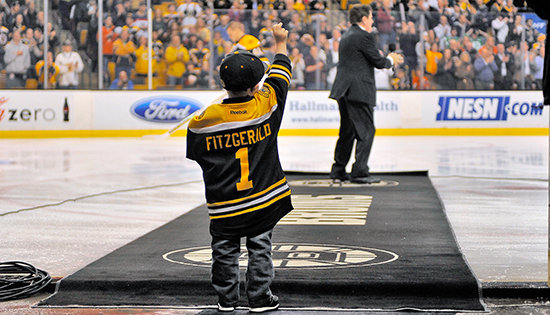 Billy Feliciano – Very classy Boston, very classy…. (And that’s coming from a due hard NYR fan). Joel Rogers – That makes me a Hockey fan! 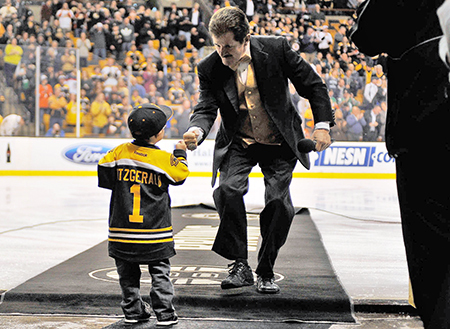 Jesse Kurtti – Great job Boston. This is why I love this game. 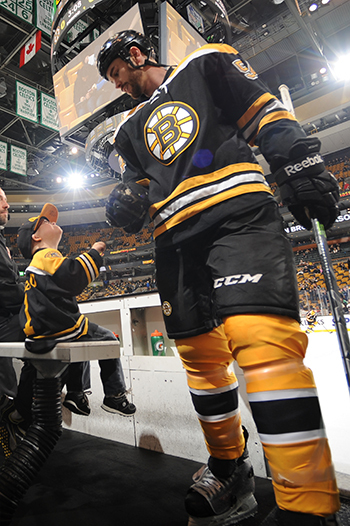 Chris Malboeuf – From a Red Wings fan, very classy Boston! Donald Schneider – I want his card, what a dude! Cesare Montefusco – Only in the NHL!!!!!! When is a trading card more than a trading card? When it has the power to change lives and inspire others. We believe Liam’s first Upper Deck rookie card is sure to be a collector’s item that every fan should want to add to their collection. His mother shared, “We believe Liam has a higher purpose in life, one in which during his journey he makes a difference in the world.” There are a limited amount of Liam’s Heroic Inspirations cards remaining and they will share details on how fans can score those soon! 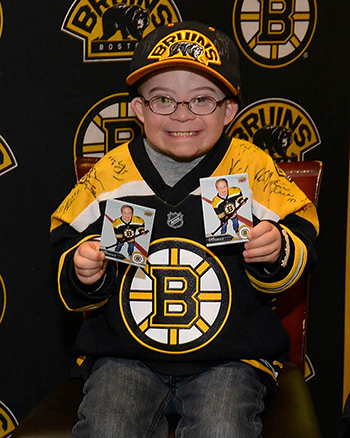 So fun and cool to see this inspirational young man signing his cards! !